Every day till Christmas, we're bringing you 12 Days of Baking: 12 all-new baking recipes to lift holiday spirits -- from breakfast pastries to dinner rolls, and all the desserts you can handle. Today: Our Associate Editor, Kristy Mucci, shares one of her fiancé's family's holiday cookie recipes. I first had these cookies a few years ago at a Christmas celebration with my fiancé's family. They're not too sweet and the sweetness you do taste is honey, mixed with spice and citrus. The texture is fun, too -- slightly sandy cookies topped with crunchy walnuts. I look forward to them all year. Until last week, I was calling these "the Greek honey cookies," but they have a real name: melomakarona. They're a traditional Greek holiday cookie and they're often made with semolina, and a lot of recipes call for olive oil. The recipe my fiancé's cousin, Lisa, graciously shared with me doesn't call for either of those things, but I think they could easily be substituted in. More importantly, even without those ingredients, these cookies are still my favorite holiday treat around. Having received these cookies in the mail, I can tell you that they do, in fact, keep for weeks. I also think they get even better with time. The recipe below is slightly adapted from cousin Lisa's recipe. I used half AP flour and half semolina when I made these and they turned out beautifully. I loved the sandy texture. I'd definitely make them again! Kristy, I am half Greek and have made a vegan version of these with date paste. They Re such delightful cookies! And they look beautiful here. Merry Christmas! 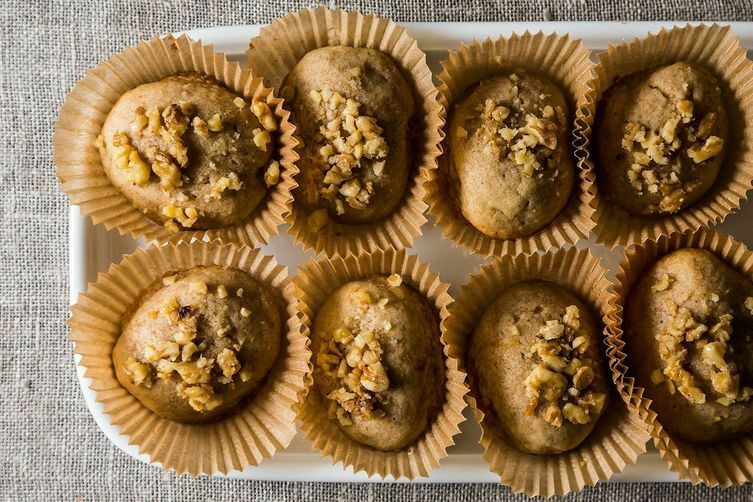 I have made honey cookies in the past and they are wonderful, but with the addition of the nuts and the spice, these sound divine. On a whim I bought a 1-pound bag of semolina at a farmstand and I have not opened it -- I didnt know then what I was going to do with it and have forgotten about it. Any chance you know what proportion of semolina would be good in this recipe ? Thanks! I might replace 1/2 cup or 1 cup of the AP flour with semolina, depending on how sandy you want them to be. Please let me know how it turns out!